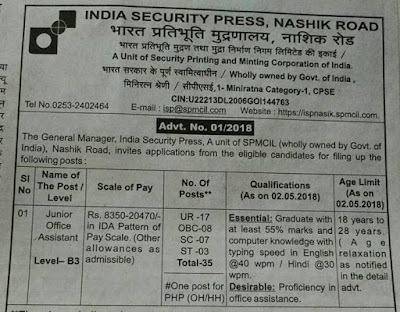 India Security Press Nashik Recruitment 2018 For 35 Junior Office Assistant Post. 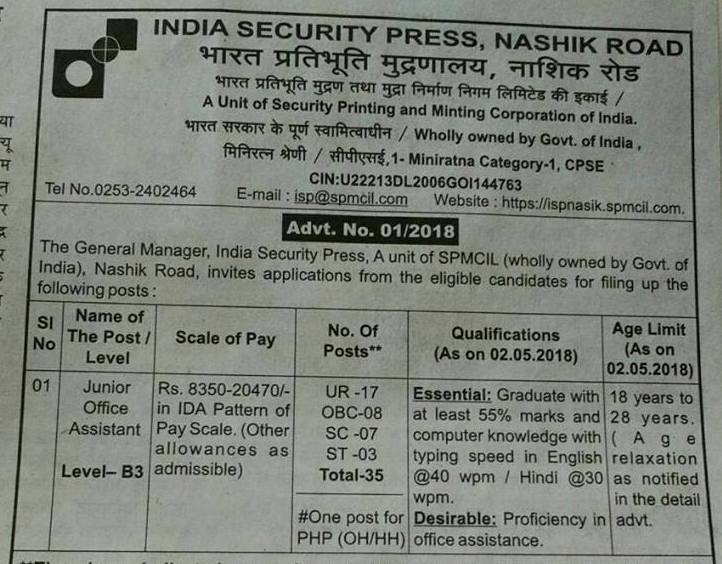 India Security Press Nashik Road Recruitment 2018 For Junior Office Assistant Post. Educational Qualification- Candidates Must Have Graduation with 55% Marks From Recognized University/Board.